Throughout the year, you'll most likely find at least one of the seven mango varieties described below. Each type of mango has a unique flavor and texture, so try different varieties at different stages of ripeness and at different times of the year. You'll be glad you did. Honey mangos have a very small seed, so there is a high flesh to seed ratio. RIPENING CUES: Skin turns to a deep golden color and small wrinkles appear when fully ripe. The Francis mango grows on small farms throughout Haiti. RIPENING CUES: Green overtones diminish and the yellow becomes more golden as the Francis ripens. Squeeze gently to judge ripeness. The fruiting of the Haden mango in 1910 inspired the creation of a large-scale mango industry in South Florida. The industry has since then been greatly reduced by the impact of development and hurricanes. RIPENING CUES: Green areas of the mango turn to yellow as it ripens. Squeeze gently to judge ripeness. Keitt mangos are popular in Asian cultures, where they are enjoyed in its mature-green stage or even as pickles. RIPENING CUES: Skin stays green even when ripe. Squeeze gently to judge ripeness. 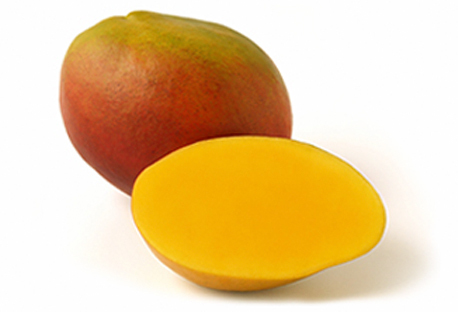 Originating from Florida in the 1940's, Kent mangos are ideal mangos for juicing and drying. 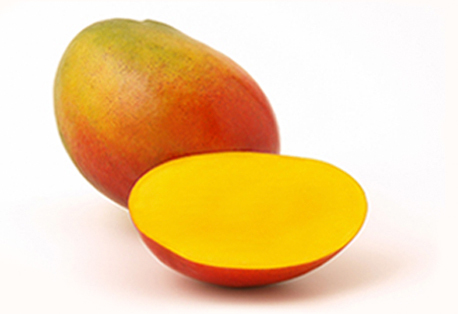 RIPENING CUES: Kents have yellow undertones or dots that cover more of the mango as it ripens. Squeeze gently to judge ripeness. Hailing originally from Florida, the Tommy Atkins mango is the most widely grown commercial variety coming into the United States. Shape: Medium to large with oval or oblong shape. 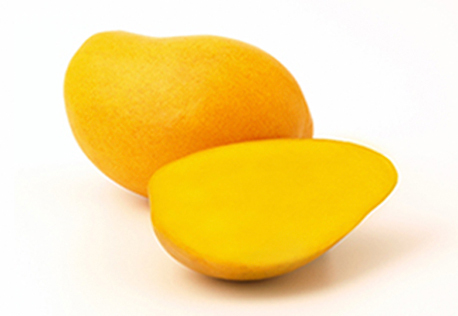 RIPENING CUES: This mango may not provide any visual cues. Squeeze gently to judge ripeness. Originating from Florida in the 1940's, Palmer mangos are widely grown commercial scale in Florida; often harvested immature due to early coloring.